St. Patrick was born in the 5th century. He had green and blue colourful clothes. Ireland’s colour is originally blue but people say that is green. 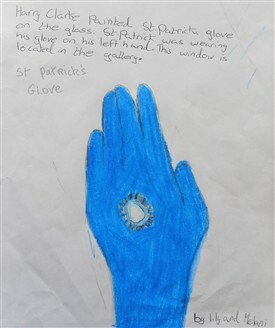 St. Patrick had a glove that represents a symbol that blue is symbol of St Patrick. 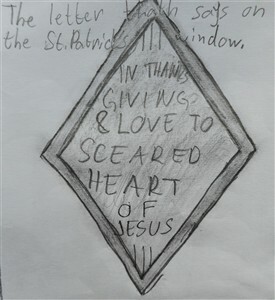 Under the picture it says IN THANKS GIVING AND LOVE TO THE SACRED HEART OF JESUS. 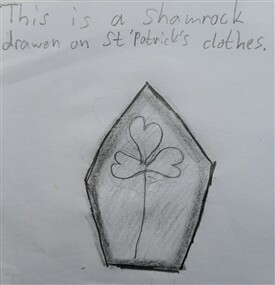 The representation of Shrine of St. Patrick‘s Bell shows Harry Clark‘s knowledge and awareness of Ireland‘s national treasures. 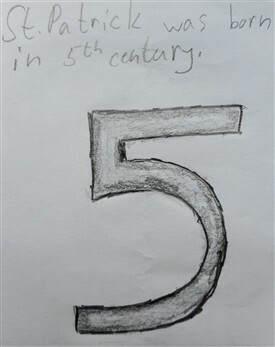 The original is currently on view at the National Museum of Ireland, in Dublin. The window of St. Patrick is placed on the west-side, on the map of the church numbered 13. When sun shines through the windows the floor becomes colourful, because of so many colours of the window. 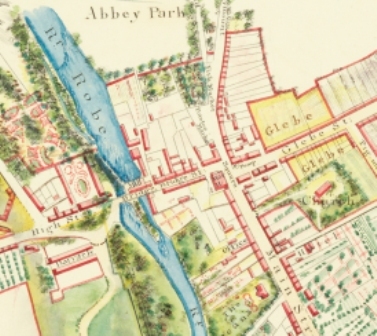 This page was added by Averil Staunton on 11/04/2019.